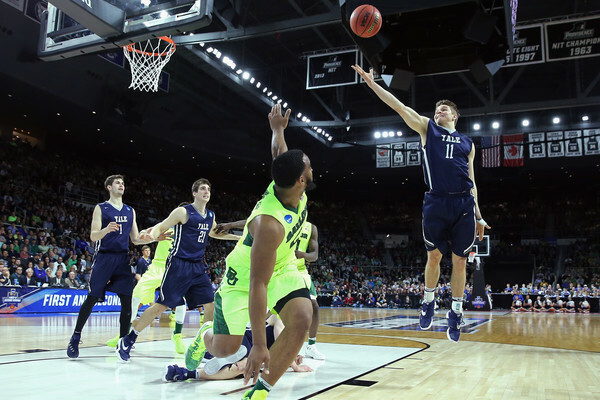 Coverage of the college basketball specifically the NCAA March Madness tournament. 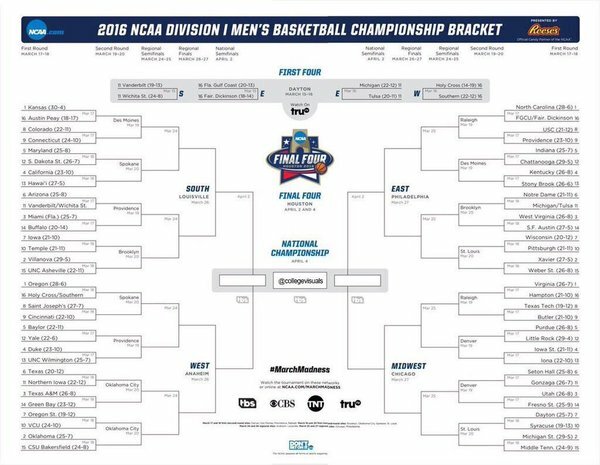 The 2016 NCAA Bracket was announced on Sunday with 68 teams competing to be crowned the Champion. The First Four games will feature two games on Tuesday, March 15 and two games on Wednesday, March 16. All four of the opening round games will be played in Dayton, Ohio as they have since the tournament was expanded to 68 teams in 2011. The Final Four will be played in Houston, Texas at NRG Stadium. Kansas (South) is the top overall seed with North Carolina (East), Virginia (Midwest), and Oregon (West) as the other #1 seeds. Villanova (South), Oklahoma (West), Xavier (East), and Michigan State (Midwest) are the #2 seeds with many of the top eight teams having a solid case to be on the top line. The First Four will begin on Tuesday, March 15 with the first two games and conclude on Wednesday, March 16 with the other two games. All four games can be found on truTV with estimated start times of 6:40 PM and 9:10 PM Eastern Time each night. 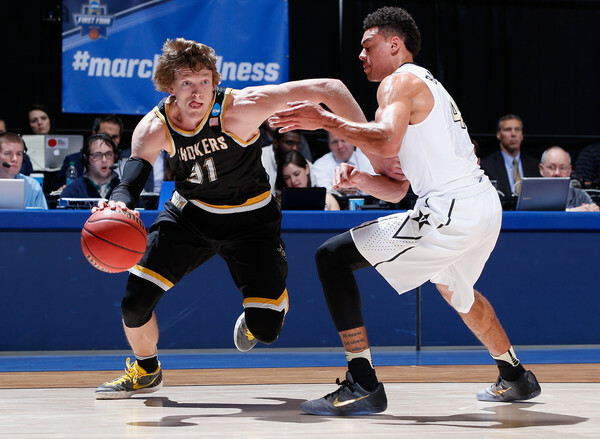 #11 Vanderbilt and #11 Wichita State will play on Tuesday for the right to face #6 Arizona on Thursday in the South Regional. 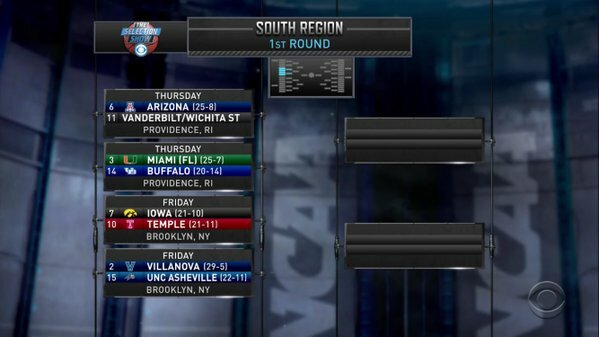 #16 Florida Gulf Coast and #16 Fairleigh Dickinson will square off to face #1 North Carolina on Thursday in the East Regional. 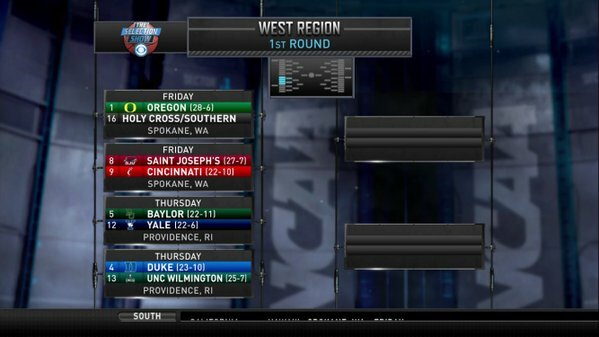 #16 Holy Cross and #16 Southern will play on Wednesday night and the winner will have a date on Friday against #1 Oregon in the West Regional. 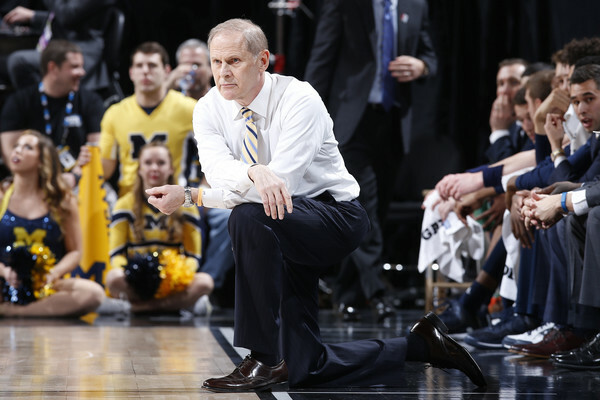 Michigan and Tulsa are both #11 seeds with the winner playing #6 Notre Dame on Friday in the East Regional. North Carolina is the top seed in the East Regional and will face the winner of the Florida Gulf Coast–Fairleigh Dickinson matchup in the First Four on Tuesday. 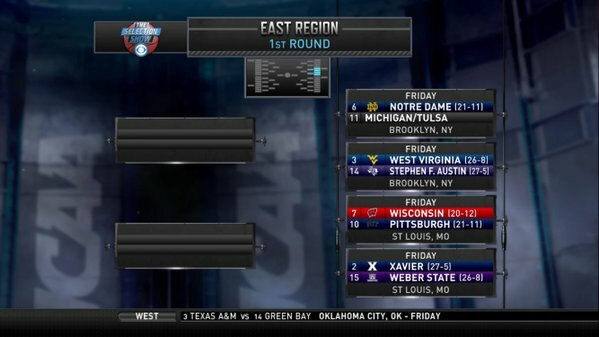 Xavier is the #2 seed in the East and will take on Weber State in the first round. The East Region is in the two pictures below. Virginia claimed the top seed in the Midwest, though some were surprised with that selection. 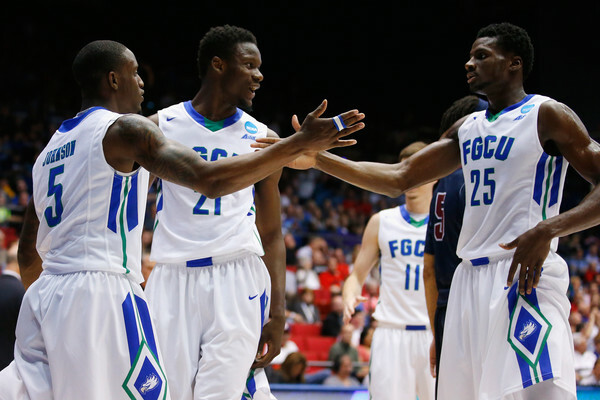 They will face #16 Hampton in their first round matchup. 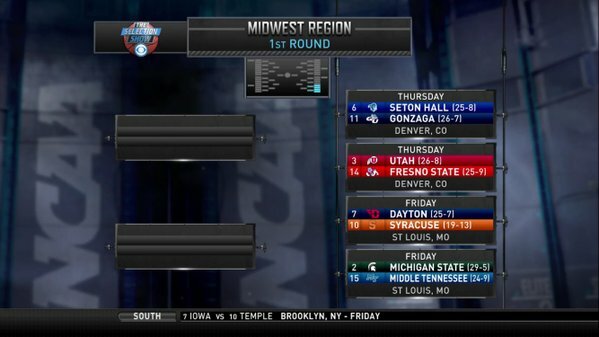 The second seed in the region is Michigan State and they will face #15 Middle Tennessee. 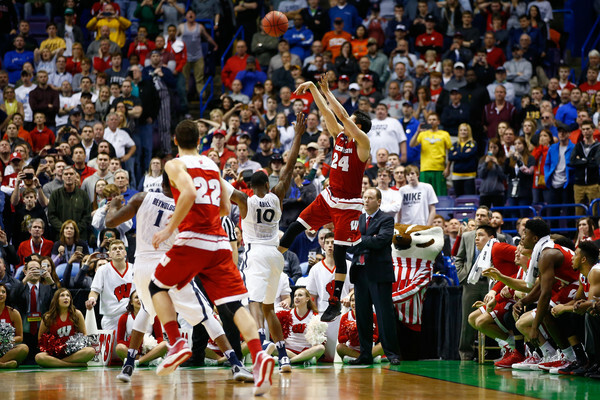 The Spartans will surely be playing with a chip on their shoulder after getting skipped over for a #1 seed. The entire regional can be seen below. 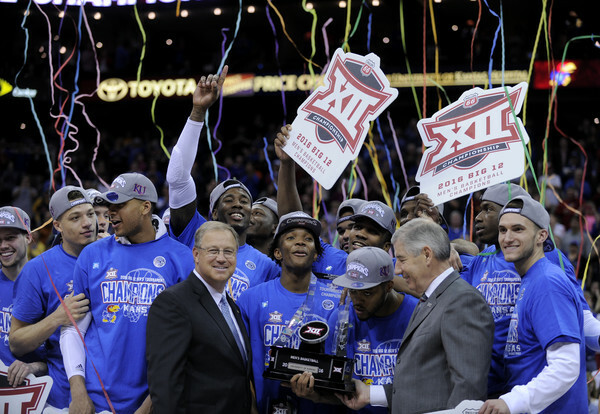 Kansas is the #1 overall seed in the entire tournament and will take on #16 Austin Peay to start their tournament. Villanova is the #2 seed and will face #15 UNC Asheville in the first round. The #11 seed will be Vanderbilt or Wichita State with those two playing in the First Four. The entire South Region bracket is below. 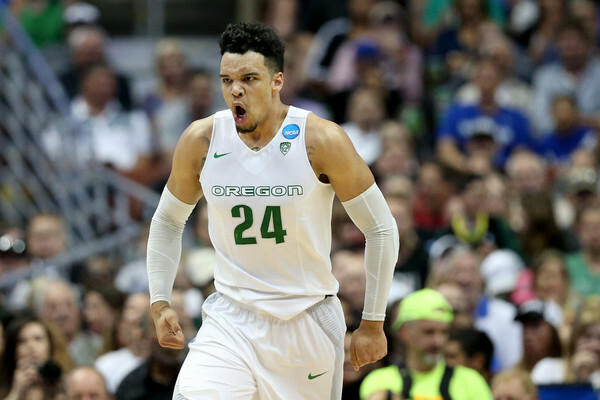 Oregon is the top seed in the West and will face either Holy Cross or Southern as the #16 seed. Holy Cross and Southern will play on Wednesday in the First Four. 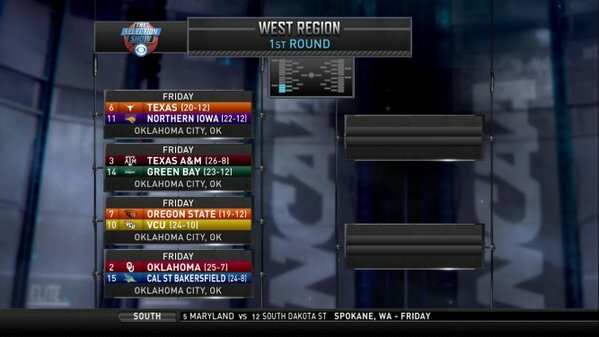 Oklahoma is the #2 seed in the West and will face #15 Cal State Bakersfield. The entire West Regional can be seen below. The entire Bracket can be found here. The Final Four will begin with the National Semifinals on Saturday, April 2 and conclude with the National Championship on Monday, April 4. 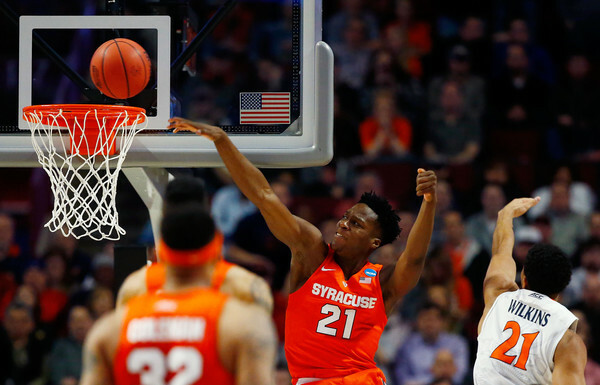 The National Championship game will be shown on TBS at 9 PM Eastern Time and is the first time in 35 years that the game will not be televised by CBS. The National Championship will return to CBS in 2017 and rotate between the two channels through 2024.